Did you know that if a blocked gutter causes damage to your home, it could end up costing you thousands in repair bills? If you keep putting off the job and your gutters are well overdue for a clean, it’s time to call in a Jim’s Mowing professional for assistance. We have all the equipment and expertise to do your gutter cleaning meaning you won’t have to climb on any high ladders or put yourself at risk. 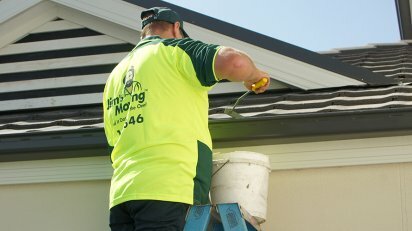 Whatever the height or size of your gutters, we can provide you with an obligation-free quote on our gutter cleaning services. Gutter cleaning would have to be one of every homeowner’s least favourite jobs. Even so, roof gutters need to be checked and cleaned every season. If an obstruction prevents the flow of water away from your dwelling, water can infiltrate walls and roofs. This can cause wood to rot and encourage damp and mould to form. If a build up of water becomes really out of hand, it could even damage the foundations of your home. When it comes to your protecting your investment, why would you risk it? While your Jim’s Mowing professional is attending to your gutters, they can also install gutter guards. These devices help to prevent debris entering the gutter channel and stop vermin and birds from entering your roof. Gutter guards are the smart choice for those wanting to reduce maintenance time and costs going forward. If you’re hesitant about climbing a ladder to access your gutters, you’re not alone! Gutter cleaning is a dangerous job for anyone, but your Jim’s Mowing professional has the training in height and ladder safety to carry out the job with ease. All our team members are required to have comprehensive public liability insurance for your added peace of mind. 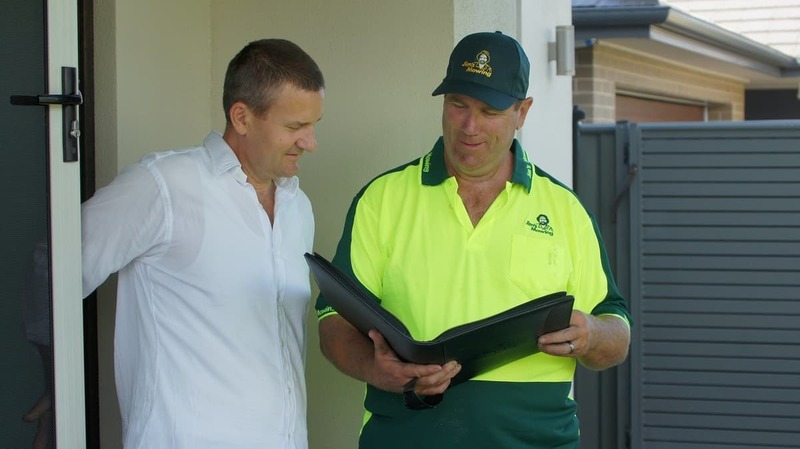 For professional gutter cleaning melbourne west you can rely on, call your local Jim’s Mowing 131 456 or Book a Quote Online now. I have been using Jim’s since mowing was all they did. I have never used another gardening service since. Each franchisee I have come into contact with has been a great advertisement for the brand, and as a Multi Location Franchise myself, I know how important brand image is. Very happy to have Phil Beyer looking after my needs.